The impact of climate change on farm soils in the tropics is the combined result of short-term soil management decisions and expanding precipitation extremes. This is particularly true for cultivated lands located in steeply sloping areas where bare soil is exposed to extreme rainfall such as the Birris watershed in Costa Rica. Farmers in this watershed are affected by increasing degradation of soil regulation services and respond with different level of efforts to conserve their soils. 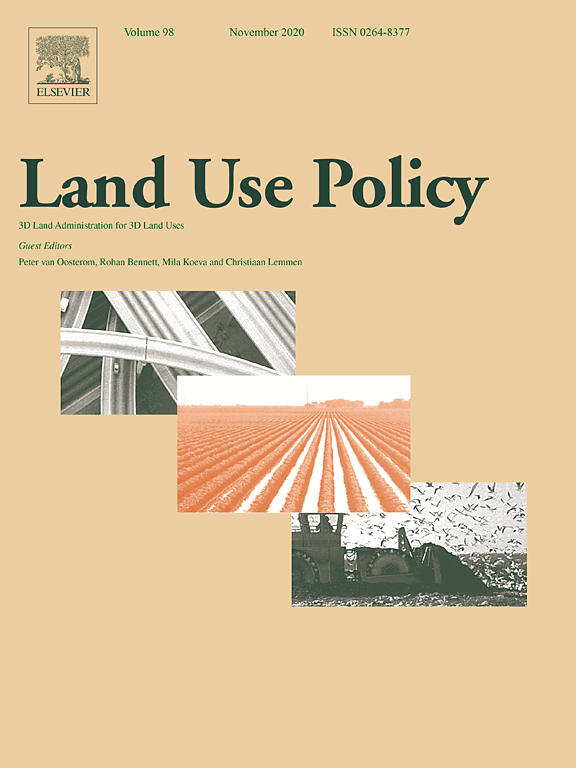 This paper examines influences on farmers decisions through a survey involving interviews with a sample of farmers (n = 56) to test hypotheses on how a combination of cognitive variables (beliefs, risk perception, values) and socioeconomic variables shape decisions on soil conservation. Results show that farmers awareness of their exposure level to soil erosion combines with other variables to determine their level of soil conservation. Using discriminant analysis, three groups of farmers were identified based on their soil conservation efforts. ANOVA pairwise-comparison among these groups showed significant differences in respect to levels of awareness, perception of risk, and personal beliefs along with territorial exposure and participation in soil conservation programs. Our results help to understand farmers complex decision-making on soil conservation and help designing policies to support the provision of soil regulation services especially in areas highly exposed to increasing frequency of extreme precipitation events such as Central America. Authors: Vignola, R.; Koellner, T.; Scholz, R.W. ; McDaniels, T.L.